To say this was an impulse purchase would be an understatement. No sooner had I seen someone rave about Jo Malone Velvet Rose & Oud Dry Body Oil online, than I was at the counter, face practically pressed up against the display. I'd never tried any of the Jo Malone Cologne Intense line before and I didn't realise quite how much stronger the fragrances were. I tried the cologne version before I found the body oil and was already enamoured with the gorgeous fragrance. Because we all know I'm slightly lacking in the scent descriptions department, here's what the Jo Malone website has to say about it: "Velvet Rose and Oud. Darkest Damask rose. Rich and textural, wrapped with smoky oud wood. Spiked with clove, decadent with praline." It's definitely a rich scent with a lovely sweetness to it. I absolutely love rose fragrances, so this was always going to be a winner in my books. The body oil is really interesting because whilst the scent isn't quite as intense as that of the cologne, it still really packs a punch. I've been spraying it on post-shower here and there as it works best applied to damp skin so it can be absorbed more readily. I'm currently using it in place of my usual body moisturiser and I'm so impressed with how hydrating it is. My skin leans to the dry side, especially without a daily moisturiser, but things have been silky smooth with this oil. Once you've applied this, you really don't need any extra perfume. The scent is significant enough to act as a fragrance by itself but won't smell overpowering, even if you do apply it it all over your body. It also melts into the skin straight away, so there's no dreaded oily film left on the surface. Just soft skin and a lovely fragrance! I think this is such a fab product for summer, whether you're popping out for dinner or going on a night out. It's a pricey one, so I'll be using it sparingly but I think it's well worth the splurge! 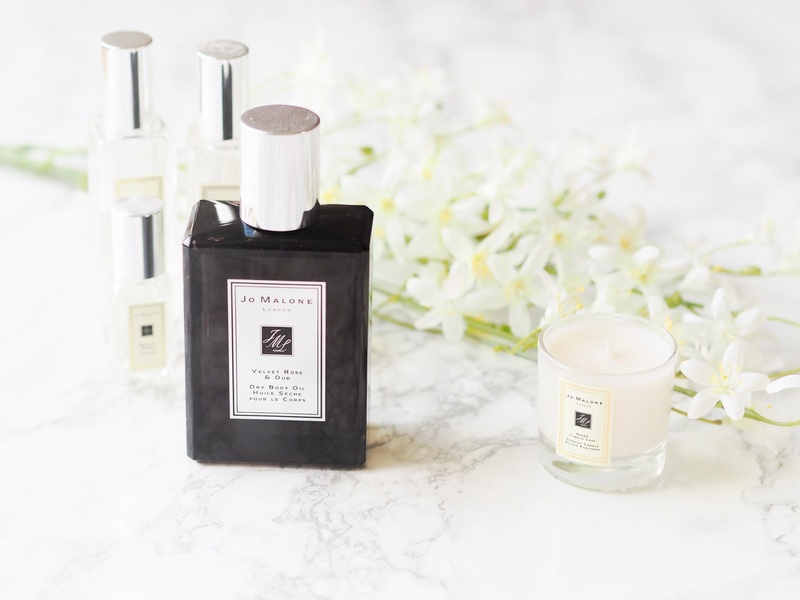 Have you tried any of Jo Malone's body oils?